A very good gardening friend of mine, who lives in one of the surrounding villages, has demonstrated in practice, year after year, how it is possible to grow all types of fruit without the intensive use of manufactured chemicals, irrespective of variety, pests or diseases, or bad weather conditions, such as low temperatures at blossom time. He takes great care to ensure that his trees grow in an environment in which the chances of infection have been reduced to a minimum, by practicing the elementary principles of good orchard hygiene. Once he has picked the fruit and removed non-productive branches from the tree canopy, he makes a special job of removing any fruit left on the ground underneath the tree crown. He picks up all deteriorating fruit, however bruised or rotten it may be, and puts it all in the non recycling bin. The net effect of this action is that there are less spores floating around his fruit trees next year, and so there is less chance of fungi finding a spot to infect his fruit. Another benefit of this is that his fruit is of better keeping quality. In addition, he removes any wood affected by mildew. This is easy to spot as it has a silvery appearance. If brown irregular growths are appearing on some of the branches, he makes sure it is cut out at exactly this time of year (early October). Likewise, he cuts out wood infections such as tree canker or bacterial canker, and he ensures that any ingrowing tree ties on the branches are removed. The wounds are then covered with a sealing compound such as “Heal and Seal” using a smallish paint brush. This is very effective and stops new infection occurring this or next season..
During the winter months he will further attend to his trees and remove lichen and tree moss which are reducing the young branches’ ability to produce good strong fruit buds. But I will discuss this during the winter. A quick reminder: if you’re interested in planting a few trees, this is the best time to plan the site and order the trees, so that you can plant from December to March. 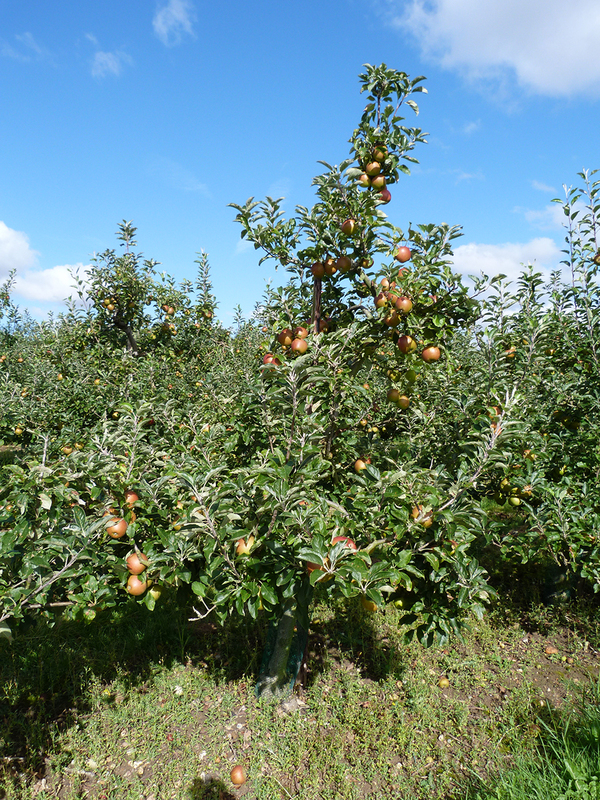 Take a look at our list of varieties, and our Orchard Packs that make everything simple!